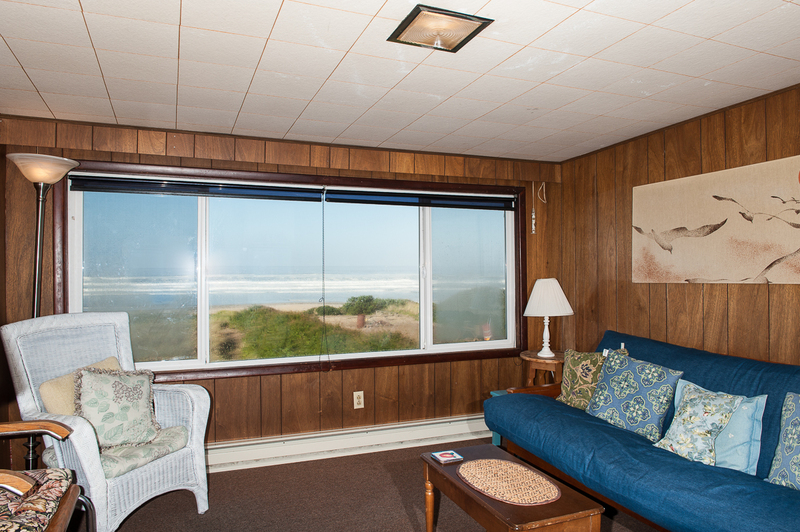 The Hamptons is an oceanfront cottage in Rockaway Beach located just steps away from miles and miles of sandy beach. 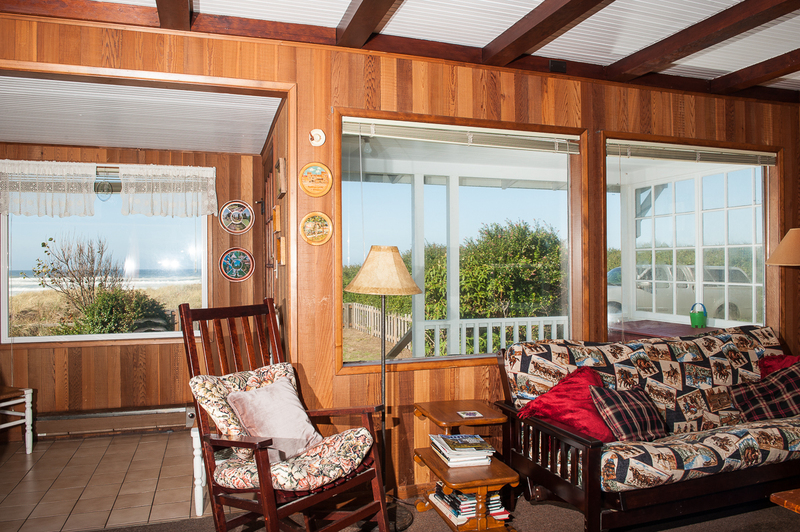 This cozy oceanfront, two bedroom, two story cottage with one and a quarter baths can comfortably accommodate up to eight guests. This vacation home offers excellent ocean views from the first and second floors and has a covered deck, chairs and a great fenced backyard. 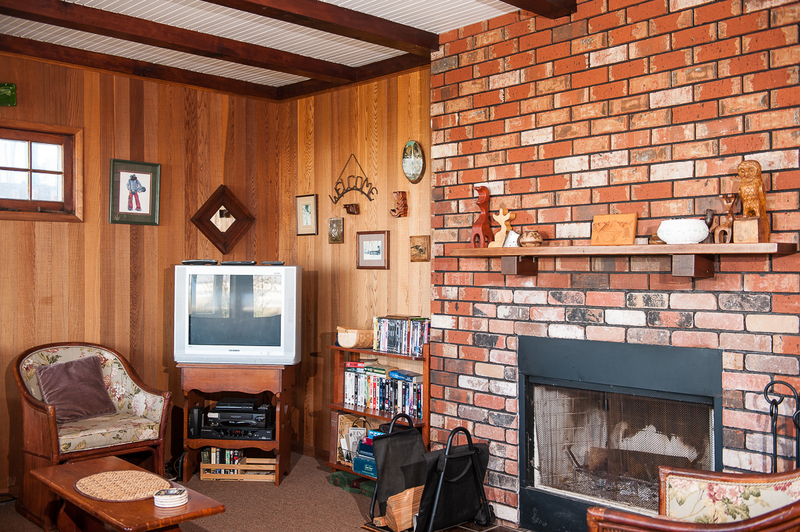 Three TVs with DVD and VHS players make having a movie night around the wood burning fireplace easy and fun to do. 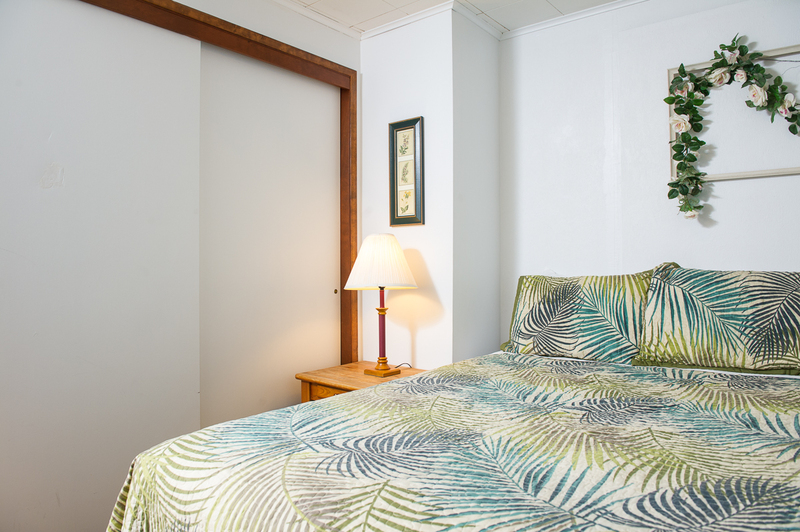 Each bedroom has a comfortable queen bed. There are an additional two full futons, one in the living room and the other in the upstairs family room for the rest of your party. The homeowner has provided plenty of games and books for those wishing for a little downtime. There is also Wi-Fi for those who like to stay on the grid. 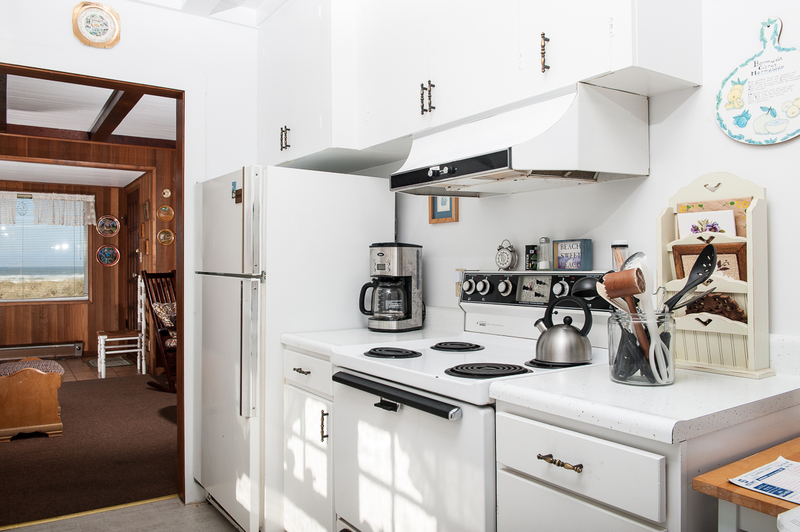 The Hamptons has a washer and dryer for those extended stays and a full size kitchen with all the essentials. Plan your next vacation today, and make The Hamptons your destination of choice. "Hello Bill, Thank you for your review. We are glad to see that you enjoyed your stay at The Hamptons. We are sorry that the windows could not be opened partially. We hope that this wasn't too much of an inconvenience for you. We hope to have you stay with us again soon on the Oregon coast." 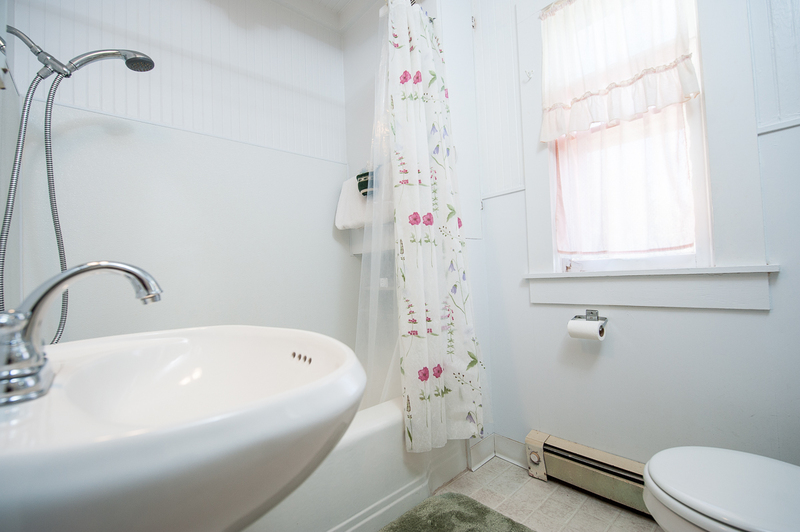 "The rental was very warm and welcoming. Love how everything was so close to walk to. Best family trip ever, many memories made. Thank you for making this trip a sucess.The covingtons"
"Hello Wes, Thank you for your review. We are glad to see that you had a great stay at The Hamptons. We hope that you and your family will be back again soon for another wonderful getaway!" "We loved staying at The Hamptons. Rockaway Beach is a great little town with everything you would need. The house is very comfortable, and we especially loved sitting on the covered porch. We would definitely come back to The Hamptons." "Hello Karen, Thank you for your review. We are happy to hear that you had a great stay at The Hamptons! We look forward to having you come back down again in the future!" "It was a great location." "Hello Sean, Thank you for your review. We are glad to see that you had a great stay at The Hamptons, and we hope to have you back again in the near future!" "I loved it. Old school and perfectly beachy. Amazing location. " "Hello Willam, Thank you for your review. We are glad to see that you enjoyed your stay at The Hamptons. We hope to have you stay with us again in the near future!" "My search criteria was only to have a house on the beach. This can be accomplished in about 60 seconds from the back gate if you don't mind hiking down a dune. There is a rock ramp located just down the path for a slightly easier return. There are about 20 steps leading up to the front door, so if this bothers, you, bare this in mind. My only complaint about this place would be the furniture. The "couches" are actually futons, which is nice for sleeping additional guests if you have them, however there is only on-site parking for 1 vehicle anyway. They aren't real comfortable to sit on. The other chairs are not real comfortable either. The house has a very rustic charm otherwise. The back patio/seating area is a nice feature." "Hello Jeremy, Thank you for your review. We are glad to see that you enjoyed your overall stay at The Hamptons. We are sorry to hear that you did not find the home to be as comfortable as you would have hoped. We can look into this and see if other guests have had similar concerns. Thank you for bringing this to our attention. 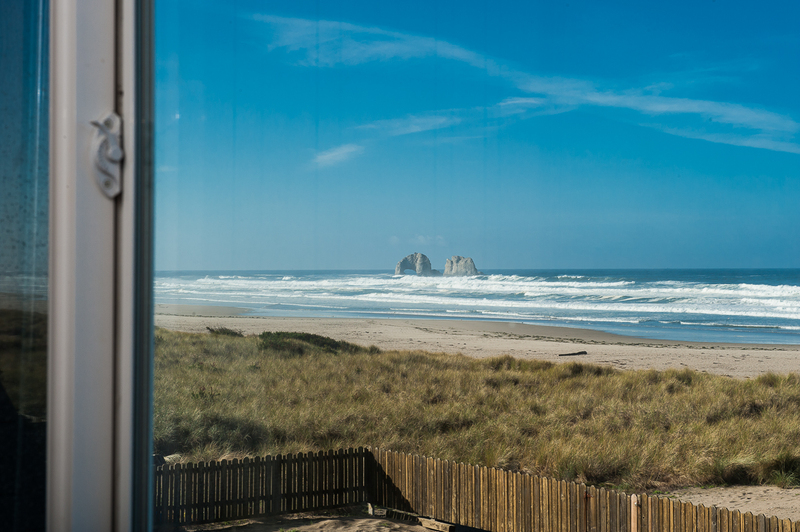 We hope to have you stay with us again on the Oregon coast in the near future! Thank you again for your review." "We are used to staying near Newpport. This was such a change, and a delightful one. Beautiful views, easy walk to the beach. Perfect!" "Hello Jessica, Thank you for your review. We are glad to see that you enjoyed your stay at The Hamptons. We hope to have you stay with us again in the future!" "House is in a great location. The yard has not been maintained and the last few steps to house are tricky. Where to park the second vehicle is not clear. So, parked in the next door neighbors space. The tv in the downstairs bedroom did not work. The baseboard heat was marginal or did not work. Did find the space heater tho. House needs some updating, but was clean. Overall we enjoyed our stay!" "Hello Patricia, Thank you for your review. We are glad to see that you enjoyed your overall stay at The Hamptons. We are sorry to hear that the yard was not recently mowed before your stay. This issue has since been taken care of. We will look into fixing the other issues you mention. Thank you for bringing these items to our attention. We hope to have you stay with us again soon on the Oregon coast." "Beautiful view and easy access to the beach "
"Hello Collette, Thank you for your review. We are glad to hear that you had a wonderful stay at The Hamptons. 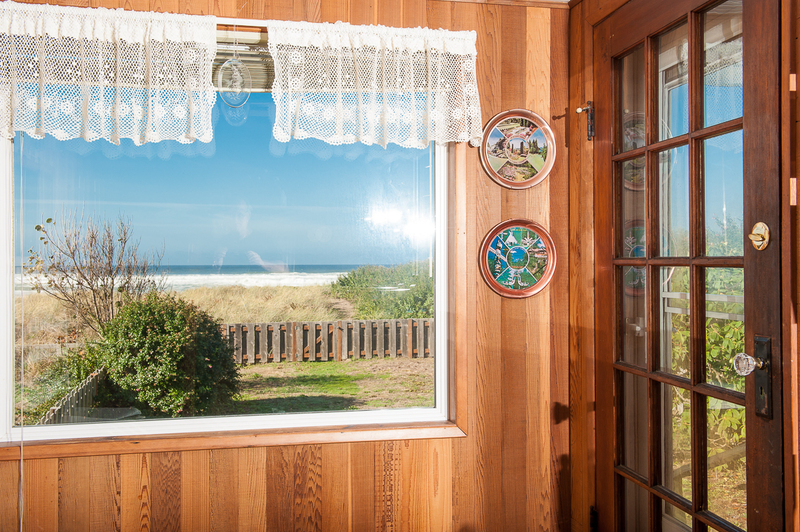 We hope to have you stay with us again on the Oregon coast." "Great location! Needs updating and more comfortable furniture. Cute kitchen 🙂"
"Hello Kimberly, Thank you for your review. We are glad to see that you enjoyed your overall stay at The Hamptons. We are looking into possibly getting this home updated. Thank you for bringing these items to our attention, and we hope to have you stay with us again soon on the Oregon coast!" "The best thing going for The Hamptons is its location right on the beach. We all enjoyed this aspect a great deal. That said, I think it is important for future renters to be aware that the house is very run down. It is furnished a la Goodwill, one dining table even being rickety to the point of almost falling over. The grounds are filled with weeds and thorns which we discovered when our three-year-old ran into the yard barefoot and came back screaming. The next half hour we spent picking cockleburs from the bottoms of her feet with tweezers. If you are looking for a place that accommodates eight, as the info on this house says, four of them should be children. Rockaway Beach is a nice quiet town and the beach, once again, is beautiful. " "I should have asked more questions, but went by the picture posted on your website which showed entry by a wooden porch with 5 or 6 stairs up to the door. Instead, we found uneven concrete steps up to the porch area. One of is disabled. The extra steps caused us a lot of problems. The house itself was fine, but could have been a little cleaner. I'm sure this is difficult at the end of the season. " "Hello Judith, Thank you for your review. We are sorry to hear that you had difficulty accessing the property. 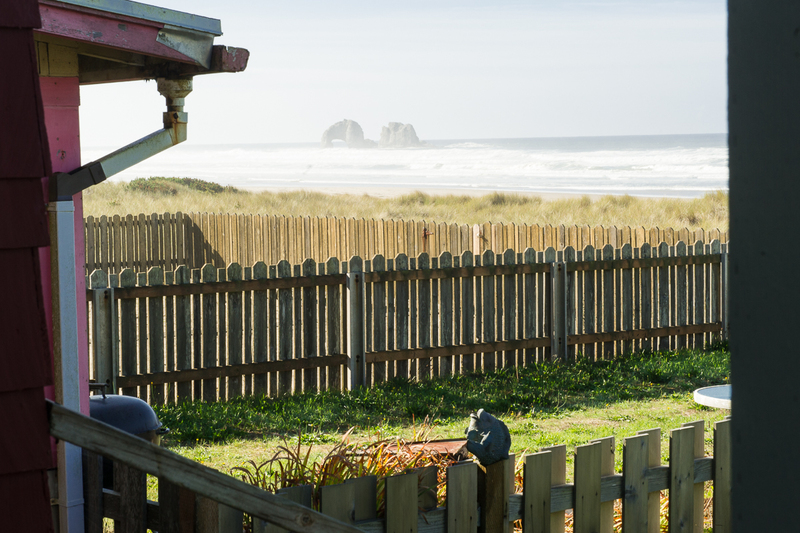 We have many homes that have minimum stairs or no stairs located all across the Oregon coast. We are also sorry to hear that the home wasn't as clean as it should have been. 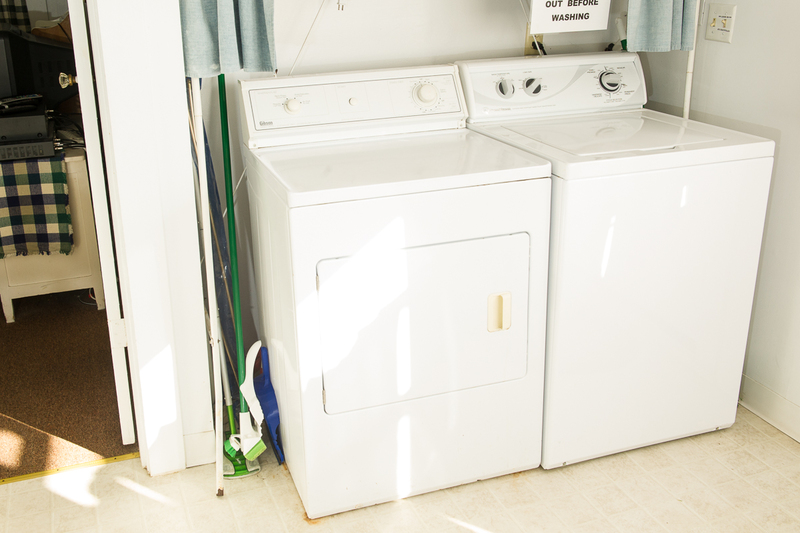 We would have happily sent housekeeping back out to the home to remedy these issues for you. This home has also been deep cleaned since your stay. We hope to have you stay with us again soon in the near future. Thank you again for your review." "Apparently no one told the housekeeper of our booking as she showed up quite puzzled on Friday at mid-day. That explained the sandy beds, but since there was a laundry we took care of the problem ourselves. Someone came that afternoon to mow and hammer the front steps back to safe stability. At least there was comfortable space and bedding for all of us in a unique little old house. The location/view was great!" "Hello Marlene, Thank you for your review. We are glad to see that you enjoyed your overall stay at The Hamptons. We are sorry that you had a dirty arrival. It looks like you arrived to this rental just a few days after booking, so it sounds like there might have been some miscommunication about this cleaning since it was so last minute. We apologize for the inconvenience. We hope to have you stay with us again in the future. Thank you again for your review." "furniture is uncomfortable, beds are good, oven knob had been broken and not replaced & part was not available to fix while we were there so no oven, access for handicap is very difficult bushes need trimmed on path but neighbors were very helpful, should explain that one bedroom is main level and one up very narrow stairs - difficult to climb with luggage, good response from customer service, loved the area & beach, especially Pirates Cove."